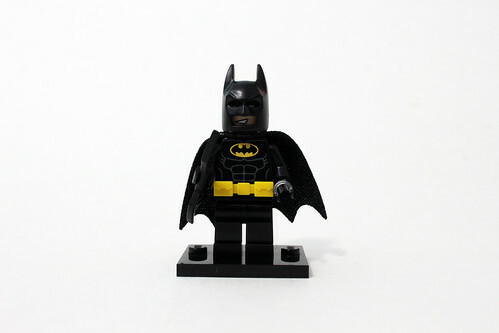 From now until February 26 here in the US, LEGO Brand Stores are doing a Search & Find for Batman stickers/cutout that are placed throughout the store. 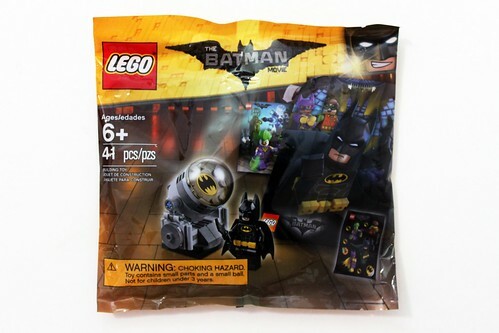 As a prize for finding all the Batman variants, an associate will give you a Batman mask and The LEGO Batman Movie Accessory Pack (5004930) polybag. 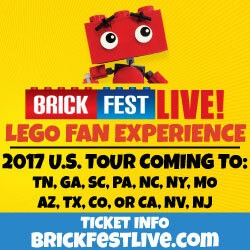 The event is intended for kids 6-14. 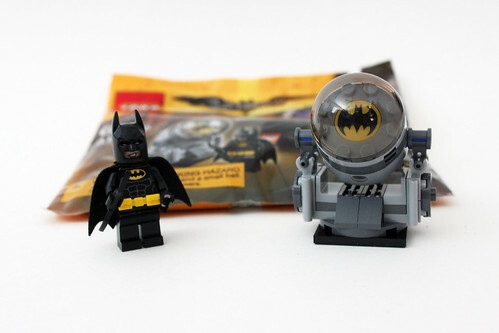 The set contains 41 pieces which includes a Batman minifigure and the Bat-Signal. 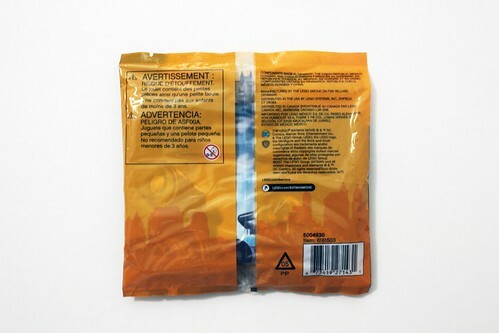 It also contains a variety of other promotional products such as a sticker sheet and a two-sided poster. 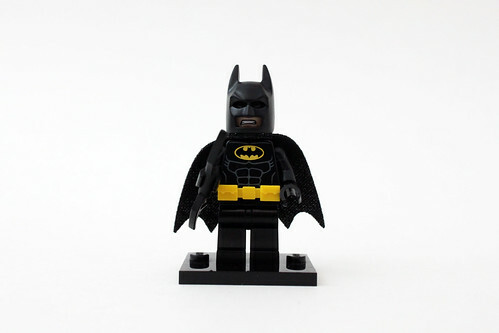 Batman is the same minifigure that is in many other sets including the Clayface Splat Attack (70904), Scarecrow Special Delivery (70910), and the Batman in the Phantom Zone (30522) polybag. His facial expressions include a smirk and a angry grimace. 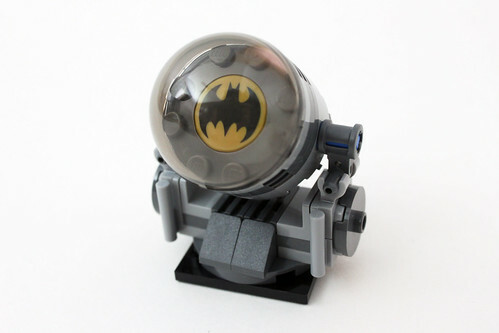 The only build in this Accessory Pack is the Bat-Signal. 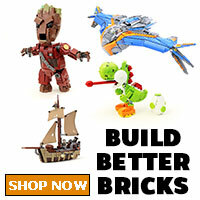 This build is exclusive to this polybag and it’s a pretty nice looking build for a free item. 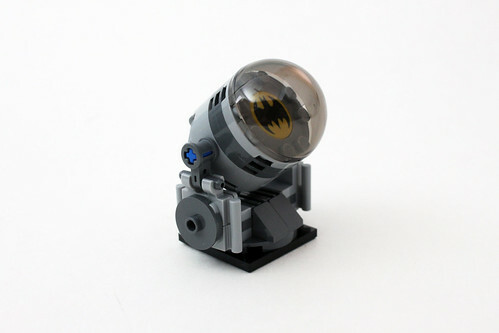 The Bat-Signal sits a 4×4 turntable piece and it is able to rotate a full 360 degrees. 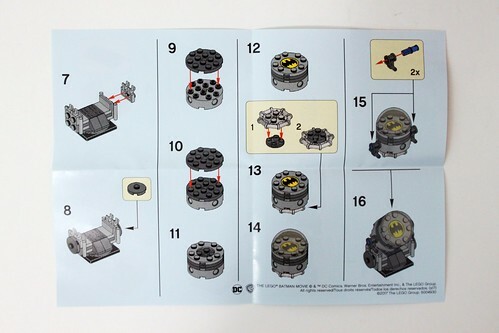 The signal area is also able to rotate by the way of a couple of a couple of Technic pins on the sides. 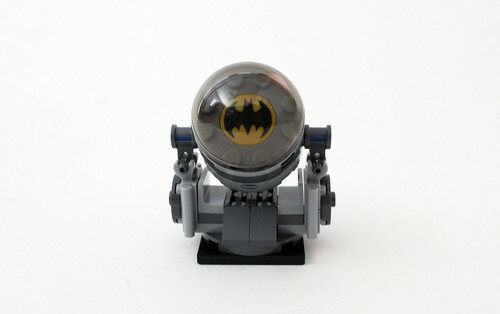 The Batman symbol is a rare printed 2×2 round tile that is only in one other set, the LEGO Juniors Batman & Superman vs. Lex Luthor (10724) . It also incorporates the trans-brown Dome Ø32 piece which is nice. 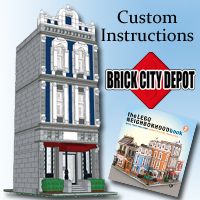 As mentioned before, the Accessory Pack also includes a small two-sided poster. 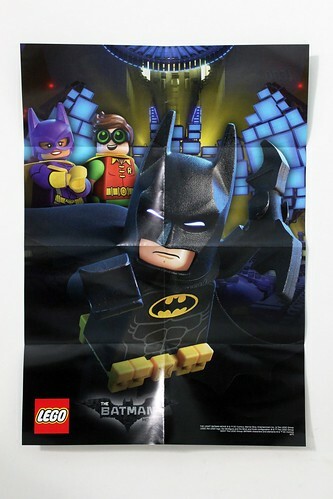 On one side, it features Batman, Batgirl, and Robin inside the Batcave. 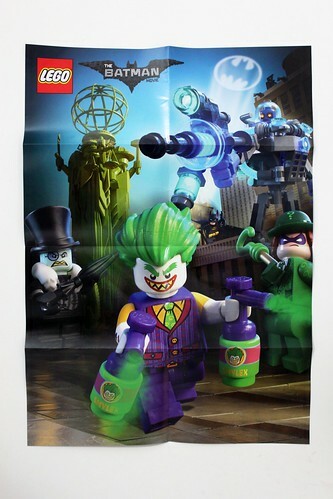 On the other side, it shows the Joker with some Smylex gas canisters, Penguin, the Riddler, and Mr. Freeze in Gotham City with Batman in the background. 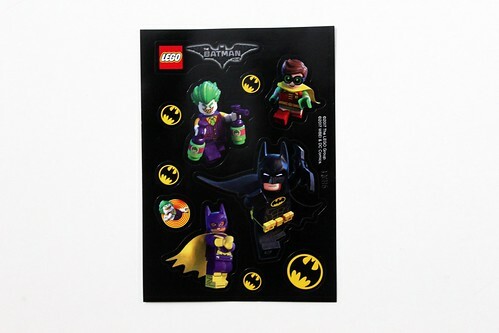 Finally, there’s a little sticker sheet that has a variety of stickers such as Batman, Batgirl, the Joker, Robin, The LEGO Batman Movie logo, and a lot of Batman symbols. 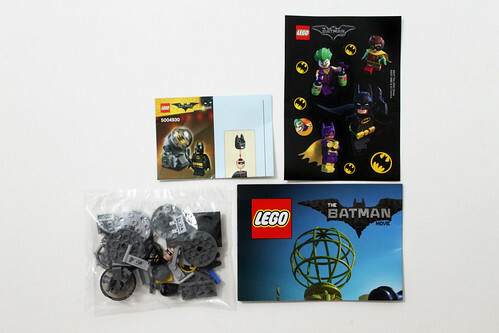 Overall, The LEGO Batman Movie Accessory Pack (5004930) is a great free promotional polybag and is a little bit cooler than the one for The LEGO Movie. The main attraction is the Bat-Signal itself and is very detailed. 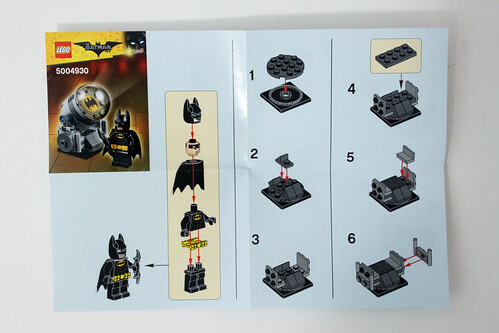 It is different from the one that is in the Gotham City Police Department Pack (853651) so if you aren’t able to get to a LEGO Store to do the Search & Find event, I’ve taken pictures of the building instructions so you can build your own if you have the parts. 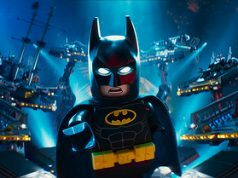 Again, the event runs until February 26, so there’s still plenty of time to do it but I wouldn’t wait that long especially with The LEGO Batman Movie coming to theaters real soon. 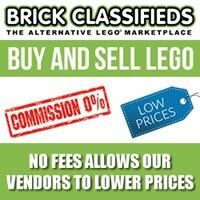 I have a feeling that LEGO Stores might run out of them by that time although I did hear that they would be getting more including another wave of masks. Whether that will be the same shiny Batman version of not remains to be seen.